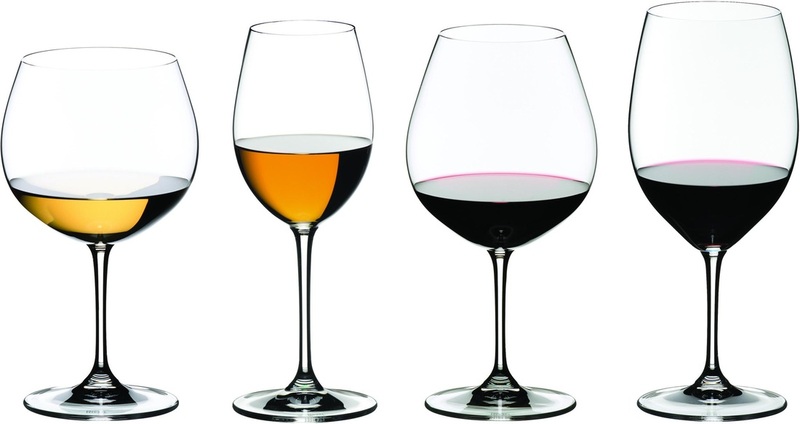 Wine Blog - Choose the Correct Wine Glasses - What's the Difference? Choose the Correct Wine Glasses - What's the Difference? Chances are you wouldn’t eat a bowl of spaghetti with a teaspoon and nor would you tackle a bowl of broth with a fork. This is to a large extent the same kind of logic that should be applied to wine as while you can of course drink from any vessel you won’t enjoy it nearly as much if you use an inappropriate glass. Many of our customers who buy wine gifts for friends and family ask us whether or not the wine glasses they use really makes any difference to the experience. And we always tell them the same, which is that if you really want to enjoy your wine, it does indeed make a difference…and a big one at that! The reason the choice of wine glass matters so much is the way in which the different types of glasses available are designed to accentuate different elements of the wine. 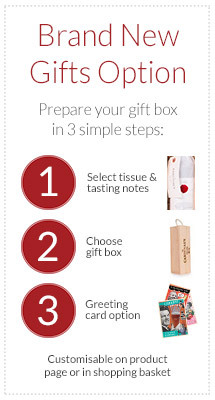 What must be remembered is that the whole wine drinking experience is an olfactory feast – it’s not about taste alone. For this very reason the wine glasses you use should be tapered towards the rim in order to focus the aromas exuded by the wine. Fine crystal glasses sound like sweet music when making a toast, the feel of fine stemware in your hand is an intoxicating experience and in order to enhance the bouquet of any wine a certain and specific design is needed. Won’t It Cost a Fortune? And as far as wine glasses are concerned, you really only need to buy three different products to fulfill any needs you’re likely to have – glasses for reds, whites and sparkling wines. Some will always tell you how a different glass is needed for each grape variety, and in many ways that is true but on the other hand perhaps it's better to be a little more realistic! So what makes an ideal red wine glass? Well, the long and short of it is that red wine glasses have a much larger bowl than white wine glasses and the reason for the larger bowl is to facilitate the swirling of the wine around the inside of the glass in order to better release its aromas. Experts will always advise that the size of the bowl should reflect the age of the red – younger reds are more similar to whites and therefore don’t need bowls as large as mature and full-bodied reds. For the most part though, red wine glass bowls should be bigger than their white wine counterparts. As white wine has a more delicate and generally lighter aroma than a red, the bowl does not need to be nearly as big. Swirling doesn’t need to be nearly as vigorous and so the bowl can be smaller and narrower, though again expert advice suggests increasing the size of the bowl in accordance with the age and maturity of the wine. White wine glasses are designed to focus the channel of liquid more toward the centre of the mouth, whereas red wine glasses distribute to the whole of the mouth. And finally, sparkling wine glasses come in all manner of shapes and sizes, though all serve the same purpose when it comes to maximising enjoyment. The narrower bowl and tapered mouth of the Champagne flute is designed for capturing the complex aromas released by the bubbles, while at the same time channelling a narrow and focused flow of flavour right to the centre of the tongue. The old-fashioned coupe de Champagne glasses, although very attractive, are not recommended as the greater surface area of the wine causes a much more rapid loss of bubbles. We’d like to share a couple of general tips that apply to all wine glasses across the board. First and foremost, incredibly narrow and overly-long stems may look elegant when sitting on the shelf, but if you intend to use them on a regular basis, it’s difficult not to break them. The stem only exists to prevent the heat from your hand affecting the temperature of the wine, so just as long as the glass can be held comfortably, the length and girth of the stem makes no difference. And finally, never forget that if you pay the lowest possible price for cheap quality glassware on the market you’re taking something of a risk when it comes to your health and safety. Cheap glass can be dangerous and it will never have the same degree of transparency and brilliance, to enhance the whole experience, as more expensive lead crystal glassware.